Dr. Arie Goldlust has over 25 years of R&D experience in the medical device, biotechnology and pharmaceutical industries. Prior to founding Datum Biotech, Dr. Goldlust served for 10 years at ColBar LifeScience Ltd ( acquired by Johnson & Johnson) where he served indifferent managerial and research positions. In his last capacity as VP Technology and R&D, Arie led the company’s development of two worldwide commercialized collagen based products. He managed all R&D activities supporting the regulatory, clinical, manufacturing, quality and marketing development of those products. Prior to founding Datum Biotech, Dr. Goldlust served for 10 years at ColBar LifeScience, a J&J subsidiary, where he served he served indifferent managerial and research positions. In his last capacity as VP Technology and R&D, Arie led the company’s development of two worldwide commercialized collagen based products. He managed all R&D activities supporting the regulatory, clinical, manufacturing, quality and marketing development of those products. 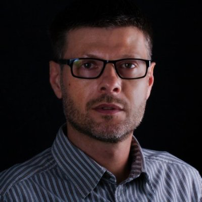 Prior to joining Colbar, Arie was Manager of Process Development and Protein Research at CBD Technologies, Ltd and before that, he held a research position at the Department of Process Development of Biotechnology General. Dr. Goldlust received his Ph.D and M.Sc. degrees in biochemistry from the Weizmann Institute of Science, Rehovot, Israel and his B.Sc. degree from the Hebrew University of Jerusalem.. He completed his post‐doctoral training at the Department of Biological Chemistry, University of Michigan Medical School, Ann Arbor, Michigan USA and at the Department of Biotechnology, Parke‐Davis Pharmaceutical‐Research Division of Warner‐Lambert Company, Ann Arbor, Michigan USA. 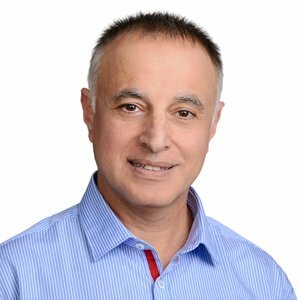 Dr. Yuval Zubery has over 25 years of experience in dentistry and periodontics. Since 1995, Dr. Zubery has had his own private practice specializing in periodontics and dental implants. Author of over 30 publications, he lectures on periodontics, regeneration and dental implantology at international events. Dr Zubery was voted one of the top 10 dental professionals by Forbes Magazine (Israel) in 2015 and 2016. Dr. Zubery received his D.M.D. degree in 1984 and his specialty certificate in Periodontics in 1988 from the Dental School of the Hebrew University in Jerusalem. 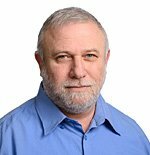 Yuval was lecturer in the Section of Periodontics, School of Dental Medicine, Tel-Aviv University, Israel from 1988 until 1995. He was visiting Assistant Professor in the Department of Periodontics, University of Texas, Health Science Center in San Antonio, Texas U.S.A. in 1991-1992. 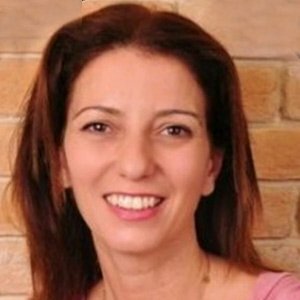 Ms. Yafit Keret has over 13 years of experience in the business and financial management of hi-tech and clean-tech companies. Her expertise includes both financial operation of parent companies as well as establishment and management of subsidiaries located abroad. Yafit has extensive knowledge in founding companies, exit procedures, fundraising, and business development. Her expertise includes both financial operation of parent companies as well as establishment and management of subsidiaries located abroad. Yafit has extensive knowledge in founding companies, exit procedures, fundraising, and business development. Her work includes daily financial management which consists of, but is not limited to, auditing, preparation of financial reports, issues concerning tax aspects, as well as active participation in board meetings. Ms. Keret holds an MBA, Business & Finance and BA and CPA certification, Accounting and Business Administration from The College of Management Academic Studies. 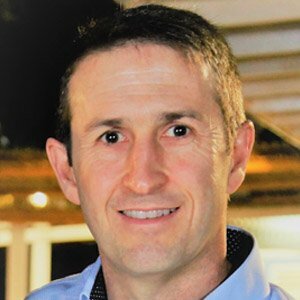 Mr. Levitats has over 19 years of managerial experience from publically traded global hi-tech and medical device companies. Mr. Levitats has a broad track record of leading business transformation across multiple domains (Sales, Services, Product, Back Office), as well as supporting sales/revenue expansion through direct and business partner channels. Prior to joining Datum Dental, Mr. Levitats served as VP Sales Operations & eCommerce at Syneron-Candela (a leading Aesthetic Medical Device company). Before Syneron-Candela, Mr. Levitats was Director of Business Process Change at NICE Systems ($1B Software Company), driving cross-company process improvement mostly in Sales and Quote-to-Cash processes. Mr. Levitats held several roles at Mercury Interactive (acquired by HP), leading new product introduction, pricing, and sales force automation. Mr. Levitats holds a B.Sc. in Industrial & Management Engineering from Ben-Gurion University of the Negev, Beer-Sheba, Israel, and an Executive MBA in Integrative Management from the Hebrew University, Jerusalem, Israel. Mr. Eick has over 15 years of expertise in commercial operations in the biotechnology industry, including experience in the manufacturing chain supply operation, facilities and scale-up of production process, product quality assurance (QA) and validation, projects financing and operation budget control and managing. Prior to joining Datum Dental, Mr. Eick served as a finance auditor at PWC Israel, and as production manager and supply chain manager at Colbar LifeScience Ltd., a biomaterials company that was acquired by Johnson & Johnson. Mr. Eick received his B.Sc. in Biotechnology from the Technicon Israel Institue of Technology, and an M.B.A in business administration from the Ben-Gurion University of the Negev. Mr. Eick is also a certificate public accountant. Dr. Thomas Bayer is one of Israel’s foremost experts in collagen-derived biomaterials and medical devices. Prior to joining Datum Dental, Thomas served as R&D Director and Consultant at LifeBond and led the innovative product research group at ColBar LifeSciences Ltd., then a subsidiary of Johnson & Johnson (J&J). In that capacity, he developed a range of novel products including dermal implants, tissue engineering scaffolds, and composite materials. Prior to joining Datum Dental, Thomas served as R&D Director and Consultant at LifeBond and led the innovative product research group at ColBar LifeSciences Ltd., then a subsidiary of Johnson & Johnson (J&J). In that capacity, he developed a range of novel products including dermal implants, tissue engineering scaffolds, and composite materials. He also worked closely with J&J research staff to support a variety of other biomaterial projects. 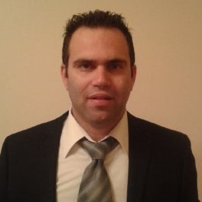 Previously, Thomas worked as an R&D Project Manager at Teva Pharmaceuticals after completing his post-doctoral research fellowship at Bar Ilan University. Dr. Bayer holds a doctorate in Chemistry from the TU Dresden, and a M.Sc. in Analytical Chemistry from the TU Bergakademie Freiberg in cooperation with the Leibniz Institute of Polymer Research Dresden. Ms. Lyudmila (Mila) Kipnis, RAC, is a certified regulatory affairs professional with more than 10 years experience in the field of medical devices and combinational products. She leads all daily RA activities at Datum Dental as well as filing for major regulatory approvals to market OSSIX products around the world; these include the recent FDA clearance, CE Mark and Health Canada license for OSSIX Bone. 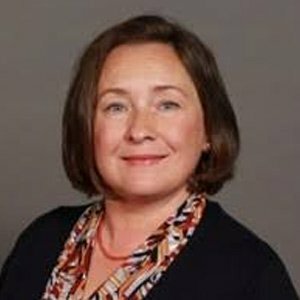 Ms. Kipnis also serves as the program committee chair and a board member of the Seattle Organization of Regulatory and Clinical Associates. Ms. Kipnis holds an B.Sc. and an M.Sc. in biology and biochemistry from the Simferopol State University, Ukraine. Ms. Orit Hochberg has over 15 years of experience in biotech industries (medical devices and pharmaceuticals) including attaining and maintaining compliance with ISO 13485:2016, FDA’s QSR based on 21 CFR Part 210, 211 and 820 and current GMP requirements. Orit leads the QA/QC teams and all quality compliance activities at Datum Dental. 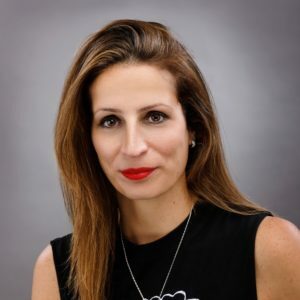 Prior to joining Datum Dental, Orit served as a Director of QA at ADRES Advanced Regulatory Services where she managed quality processes for biotechnology startups in various life-cycle phases – from proof-of-concept through clinical phases. Prior to this position, Orit served as Quality Manager at SciGen Israel and as a QA Leader in ColBar LifeScience Ltd.
Orit holds a B.Sc. in Genetics and Biotechnology from the Faculty of Agriculture of the Hebrew University of Jerusalem and an MBA from Tel Aviv University. Prior to joining Datum Dental, Orit served as a Director of QA at ADRES Advanced Regulatory Services where she managed quality processes for biotechnology startups in various life-cycle phases – from proof-of-concept through clinical phases. Prior to this position, Orit served as Quality Manager at SciGen Israel and as a QA Leader in ColBar LifeScience Ltd (acquired by Johnson & Johnson).